Salem, OR—Governor Kate Brown today signed HB 4065 into law, which provides the state with stronger tools to keep children in child care facilities safe. The legislation allows the state to take stronger and quicker action against both licensed and illegal child care facilities. Among those actions are significantly higher penalties for those who are violating the law. In addition to passing the bill, the Legislature approved the Governor's request for nearly $2 million; the funding will be used to add staff in the Early Learning Division to address safety and quality issues, and to fund testing for lead in drinking water at small child care facilities. 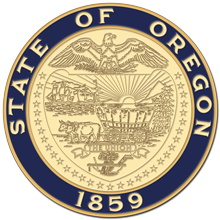 The additional staffing will help reduce caseloads and allow for more coordination between the Early Learning Division and the Oregon Department of Human Services on instances of child abuse or neglect in child care facilities.